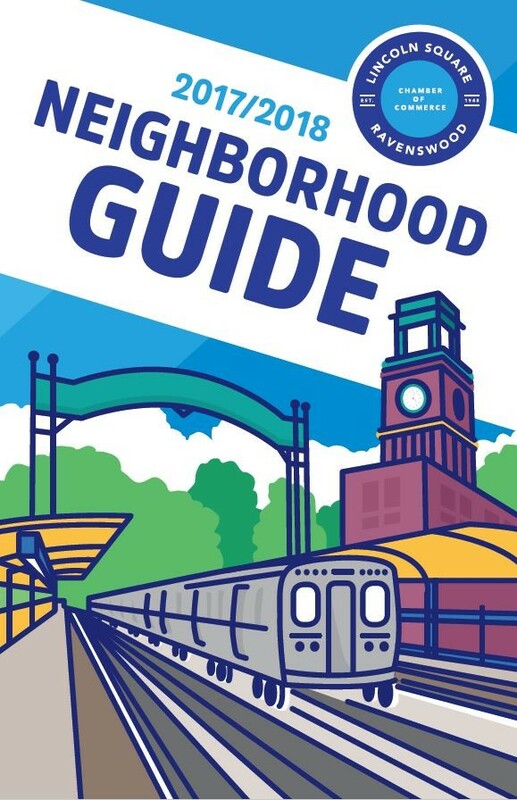 A new Neighborhood Guide promoting the businesses of Lincoln Square Ravenswood will be published at the end of June 2017. All Chamber of Commerce members that are up-to-date on their membership dues will be listed for free in the Neighborhood Guide. Businesses have the option to purchase ad space within the Guide, with special discounts offered to Chamber Members. A minimum of 5,000 copies will be printed and circulated to new residents, available for pick-up at area businesses/organizations, and distributed at community events. Advertisement space can be ordered online here. You can also call or e-mail the Lincoln Square Ravenswood Chamber of Commerce to order ad space today! *Advertisements must be created and submitted by business. 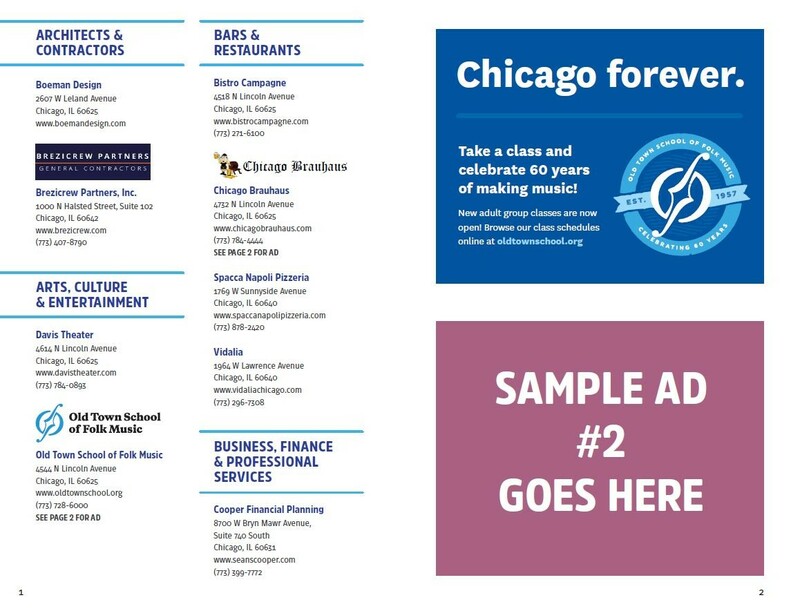 A business listing in the Neighborhood Guide is a benefit included with membership of the Lincoln Square Ravenswood Chamber of Commerce. Non-Members are not eligible to be listed in the Neighborhood Guide. For details on membership, and how to join the Chamber of Commerce, click here. 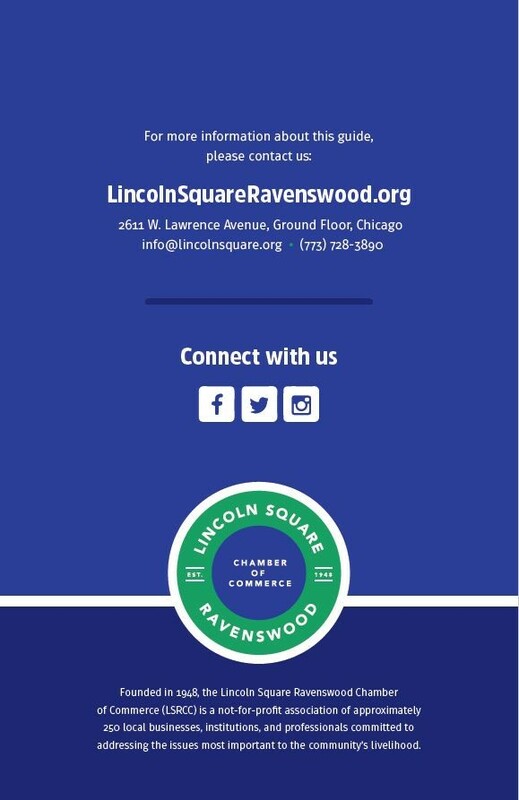 Members of the Lincoln Square Ravenswood Chamber of Commerce receive a 25% discount on advertisements in the Neighborhood Guide. BY NO LATER THAN FRIDAY, JUNE 16th 2017.